1. Put out a new doormat. 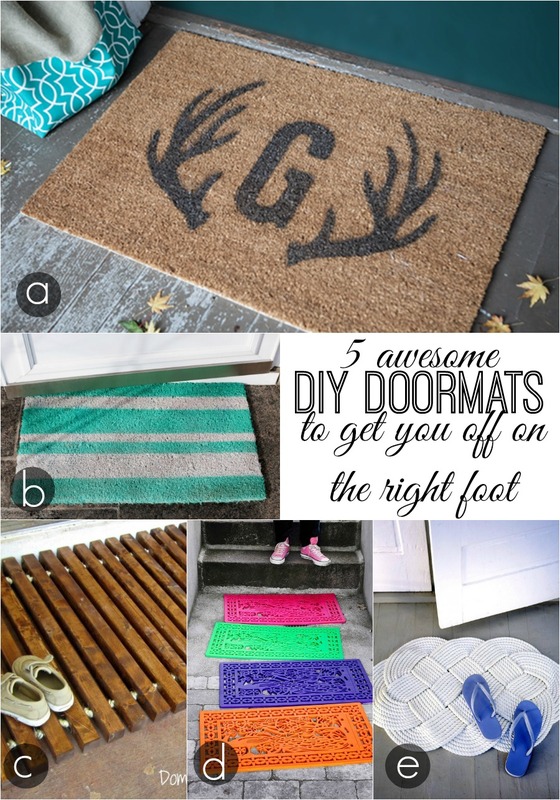 Instead of dragging that old worn out doormat with you, pick up an inexpensive and personalize it. A fresh mat for a fresh start in a new home. c// I'm loving the look of this wooden slat. d// The color possibility is endless! 2. Mix some new art in with pieces you already love. Whether you've decided on a collage wall or several vignettes around your place, seeing some of your old favorites along side new ones will give you a feeling of growth. 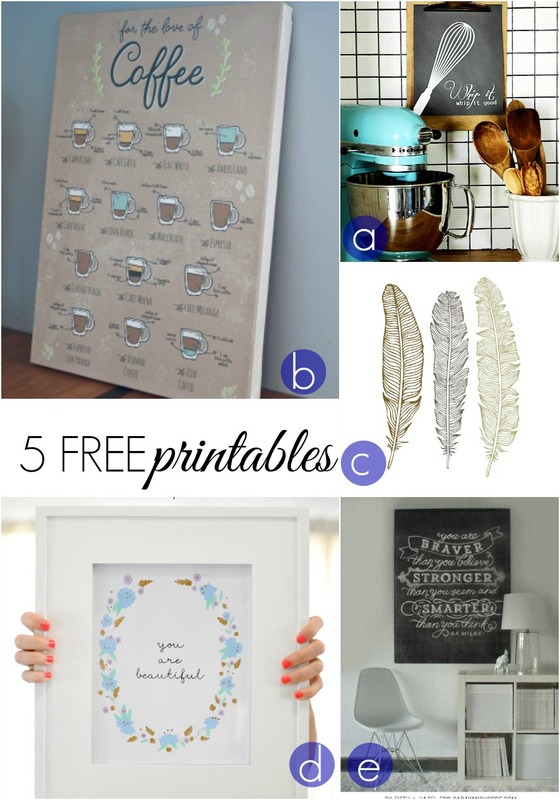 a // Fun kitchen art looks great on a clipboard; by The Shabby Chic Cottage. b // I'm practically salivating over this coffee illustration by The Pretty Blog. c // A few whimsical feathers pair perfectly with anything; by Oh So Lovely. d // A simple, feminine reminder. By Creature Comforts. e // Chalkboard isn't going out of style anytime soon with this printable by Fifth and Hazel for Caravan Shoppe. 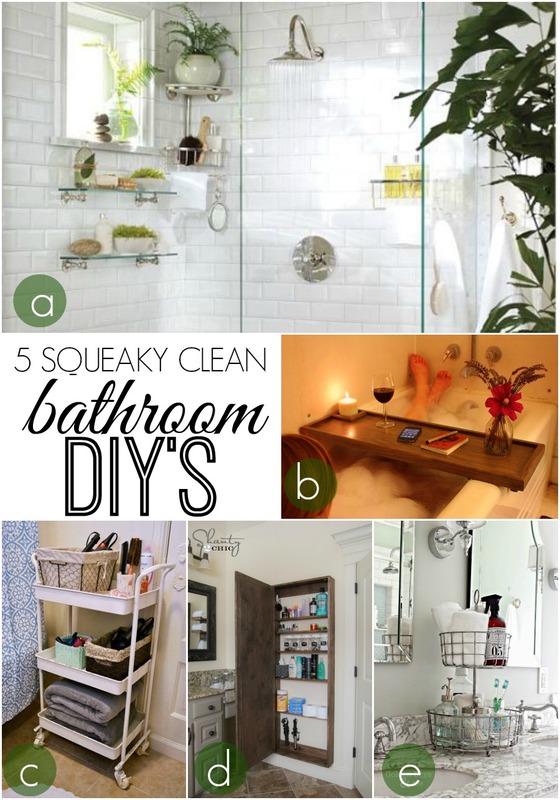 This may sound silly, but you have to feel comfortable in your bathroom. There is a familiarity in bath-time routines and once you have your favorite products in place, the sooner you can relax into that routine in your new place. a// Live Simply by Annie always has the best organization tips, including these great shower systems. b// A bath tray makes the room nice and inviting, and of course, is perfect for leisure baths. c// Perfect for shared bathrooms (think dorms or apartments), consider a cute trolley for all of your bath products and tools. d// Shanty 2 Chic did an amazing job on this wood storage cabinet with a mirrored door. e// If you have plenty of counter space, and plenty of products to store, take a tip from Golden Boys and Me and dress up the vanity. 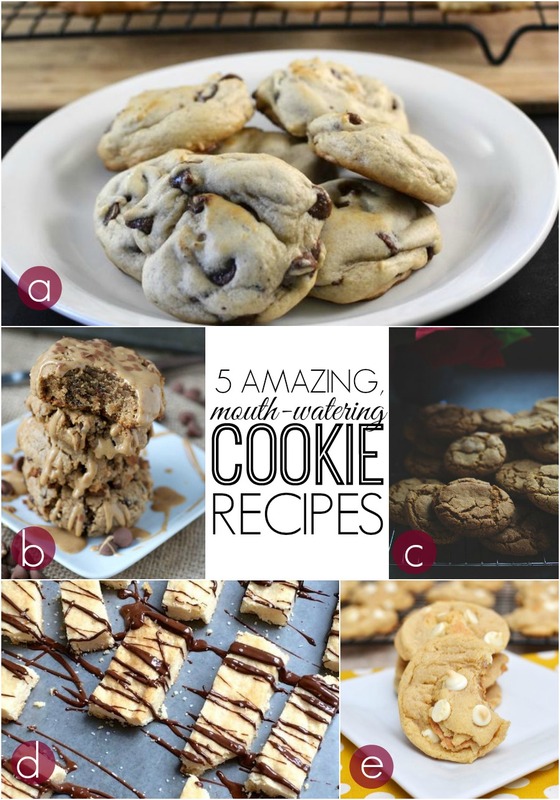 Break in your new kitchen by baking a batch of cookies. Fill your home with that sweet aroma and maybe share some with your new neighbors for a reverse welcome gift. Green BEAN Delivery + $15 off coupon code!